If planning a private jet charter flight to Hialeah, Florida, you could do no better than Charter Flight Group. With over 30 year’s private charter flight experience, Charter Flight Group has managed to carve out a sizeable niche in the private travel industry. One of the keys to success has been a vehement desire to ensure that our clients are not only comfortable, but arrive safely on-time. This is accomplished through a carefully selected program that exceeds all expectations related to private charter jet flights. Many years ago, the choice was made to exceed all FAA regulations for charter aircraft by inviting 3rd-party inspectors into the company. Not only does ARG/US audit and inspect, but even Wyvern is invited regularly to ensure that every aircraft is in perfect operating condition. We make sure every flight crew maintains accurate and regular records that show even the slightest anomaly, be it an unusual whistle, squeak, or rattle. This seeming unimportant information provides the ground maintenance crews with vital information that can be used to ensure top performance and practically zero problems for their private charters in flight. Finally, only the finest pilots will do—all are carefully screened and only those with sterling records are considered for a position. Every member of the team is a career professional with years in air charter service. This all adds up to a single result: Private jet clients of CFG enjoy the safest, most reliable, and relaxing flight imaginable and once someone flies with us, they continue to return. When you charter a private jet flight to Hialeah, be sure to discuss which airport you will be landing at with your flight specialist. This is because there are two primary airports from which to choose, each with its own advantages. The primary airport for most travelers to Hialeah is Miami International Airport. A massive airfield situated in the heart of Miami, it is a short trip from there to Hialeah along either I-95 or Florida Highway 826 (the Palmetto highway). The advantage of this airfield is that it can handle large private jets such as the Boeing Business Jet or an Aribus. For anyone visiting Hialeah for pleasure, this may also place them in better proximity to the finer hotels in Miami-Dade County. 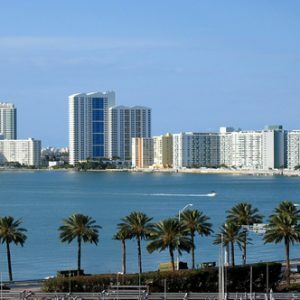 However, if your private jet charter flight occurs on a smaller craft, you are heading to Hialeah on business, or you would like to avoid the crowds and perhaps media, Opa-Locka Airport just north of Hialeah may be a better choice. Indeed, Opa-Locka places a private aircraft directly north of Hialeah in the Miami Lakes district, quietly away from Miami. Be sure to discuss the options for your private charter with your personal flight consultant who is there to serve you 24/7. but if there is time for expanding your business and you are somehow related to retail, it is interesting to note that Hialeah has a thriving “mom and pop” cottage industry that successfully competes with all the major national retailers. This makes for a unique opportunity for many business travelers and perhaps a thorn for others. Regardless of the case, your private jet travel consultant can assist you in mapping the locations of these companies. 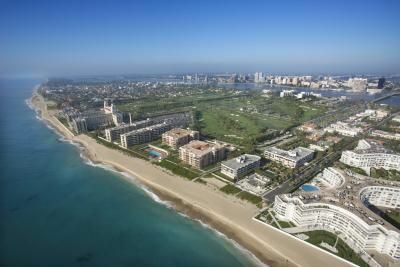 If your jet flight is for pleasure, there are certainly no limits on things to do in Miami-Dade, but don’t overlook Hialeah. This is where flight aficionado’s will find the Amelia Earhart Park, a lush and gorgeous nature/wildlife preserve in the heart of all that bustles. In addition, be sure to visit the Hialeah Racetrack for some excellent horse racing, Mack’s Fish Camp Airboat tours, and what better way to relax than with a fishing charter with Off Limit’s Sport. Why Choose Charter Flight Group for your Private Jet Charter to Hialeah? We know you can choose any company for your jet flight to Hialeah, but we know that after you have flown with CFG, you will book every private jet charter with us in the future. With our record of safety, the courtesy and professionalism of our crews, and the luxurious comfort of our entire fleet of private jets, it is little wonder that we continue to grow at a time. Give us a chance to show you the Charter Flight Group difference…you will not be disappointed.